Do you want to improve your essay writing skills? If yes, learn paraphrasing. It is a skill that will upgrade your writing abilities. Here is a free six lesson e-course. This self-study course can help you write better sentences, paragraphs and essays. I promise. 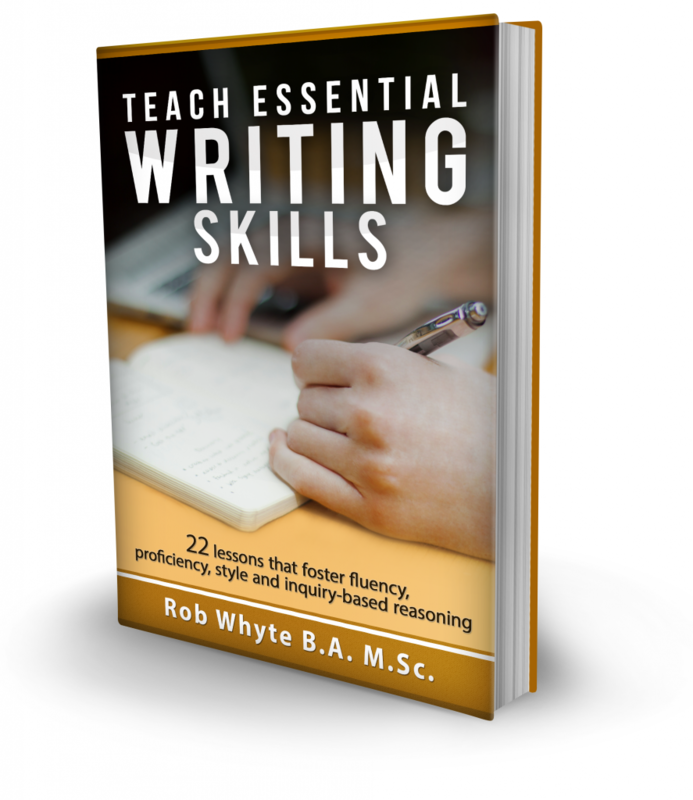 This e-course teaches six kinds of paraphrase writing skills. 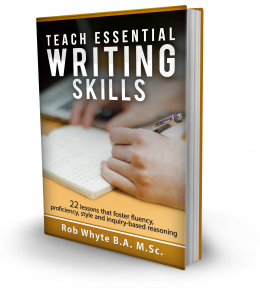 Each skill is taught in a separate lesson posted on eslwriting.org. Here are the six skills and links to the lessons. Lesson 1: Synonyms. Use words and phrases with a similar meaning. Lesson 2: Voice. Change the sentence from active voice to passive. Lesson 3: Nominalization. Change nouns to verbs. Lesson 4: Conjunctions. Combine two sentence with conjunctions. Lesson 5: Clauses. Join two sentence with relative clauses and appositives. Lesson 6: Definitions. Replace a word with its meaning. Paraphrasing is a reading and writing skill. Read a sentence or paragraph and then write the same ideas using your words. Paraphrasing is not copying. Good paraphrasing shows you understand other people’s ideas and can write them in a way that makes sense to you. Paraphrase writing is an important reading and writing skill for students in almost every English-speaking country. It’s hard to write a good high school or university essay without paraphrasing skills. Believe me, I know. I believe paraphrasing is a great writing skill. Other people agree. Here’s an example. A paraphrasing test was done by the University of Kansas in the United States. Researchers found that students improved reading comprehension after learning paraphrasing skills. Before learning how to paraphrase, students were given a reading comprehension test. Their test score was 48 percent. After learning how to paraphrase, the reading score went up to 84 percent. That’s a big increase. (Some details about the research are available here. Read the lessons and try the exercises. 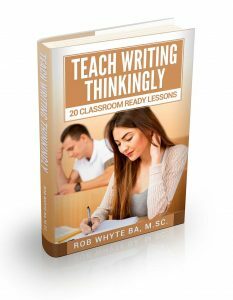 Each lesson has a link so you can download the writing worksheets. A note about printing. The worksheets are formatted for A4 page size (the standard size in Asia). Printing will work on letterhead (the US standard ) but the font might look a little small. 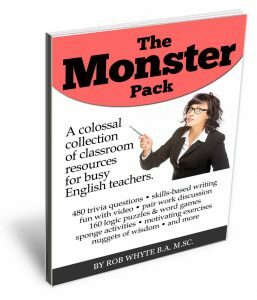 I hope you try the lessons and write some of your answers (or your students’ answers) here in the comments section. Thanks for providing these resources for free. Just what I’m looking for to prepare a Chinese class of struggling writers for a TOEFL test. Hi, I am a TOEFL writing teacher in Korea, and I’ve been looking for some paraphrasing resources for my students. I think your worksheets are very well organized and explained. I am wondering if I can use the worksheets provided here in my class. Please let me know. Thank you. Wanted to let you know your work is still be used — it’s perfect for TOEFL training! Now i am doing thesis for my master degree, but i am not clear how to paraphrase from the original papers or references.Can you tell me more detail about it. thanks in advance. I am doing my student teaching right now and I would like to use some of your worksheet. Can you please let me know how I can obtain some copies? Thank you very much for your help. I am a teacher of ESE and ELL students who is looking for an easier way to help my high school students effectively use paraphrasing in their writing. The lessons look very useful. I am trying to teach my students not to copy word for word when they are asked comprehension questions on a reading. These lessons look very useful. I am trying to teach my students not to copy word for word when they are answering comprehension questions on a reading. How can I get access to the paraphrasing worksheet? After a few weeks of teaching Business Reading, I’m realizing many of my students have a bad habit of copying answers exactly from the reading materials. I find paraphrasing skills are not only good for improving writing, but also great for improving reading comprehension, therefore we’re going to take a break from topical business lessons and look at paraphrasing a bit. Thank you so much for all these resources!